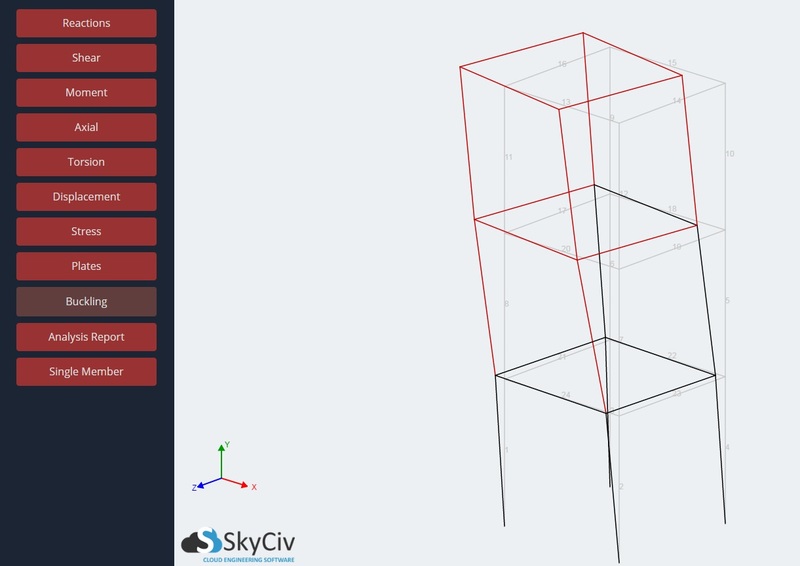 Display the buckling shape of your structure overlaid onto the original structure. 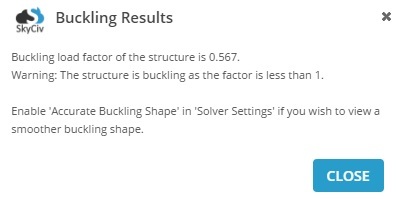 Buckling results are only available when a 'Linear Startic + Buckling' analysis is run. A pop up will also display to indicate the buckling load factor. The scale of the buckling shape can be increased or decreased with the slider on the right.